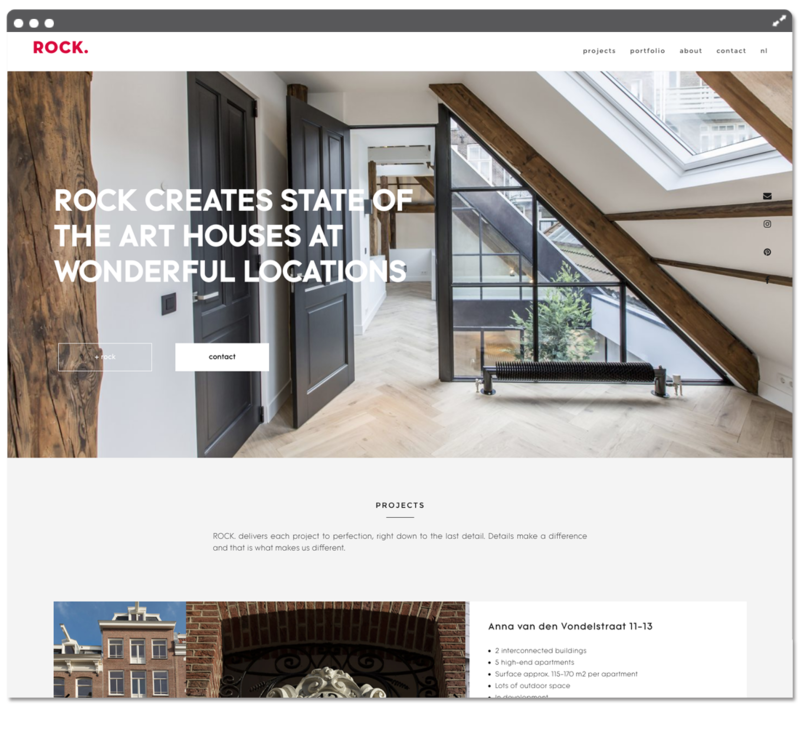 Website design & development for a state of the art real estate company based in the center of Amsterdam. New design for returning customer. 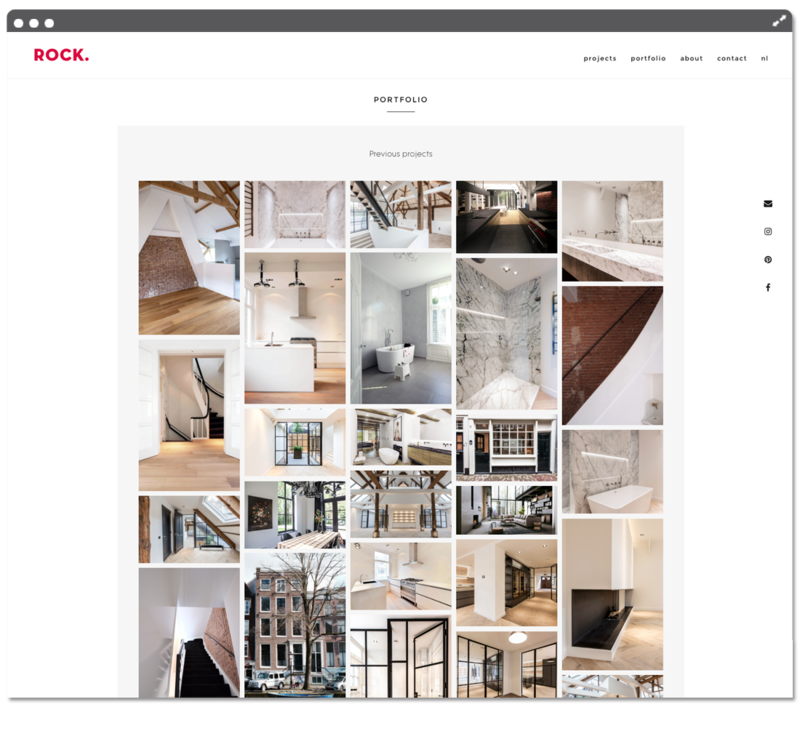 ROCK has a background in fashion, photography and contracting: every time I have the privilege to work for them, it’s a feast for the eye to see the houses they have been working on or are working on. Their clean aesthetics had to be reflected in the design of the website, and every tiny detail has been long thought of, like they do with the placement of a switch or the shape of a basin.